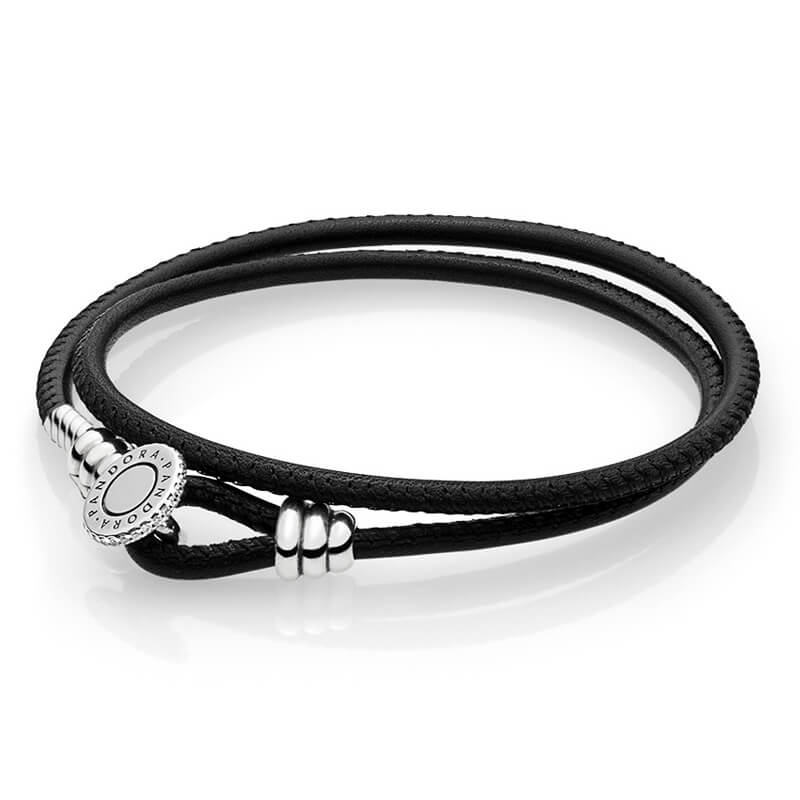 PANDORA Moments Double Leather Bracelet, Black. Carefully crafted from genuine leather in timeless black, this double wrap bracelet lends a chic edge to your collection. The simple design features a new loop clasp in sterling silver, engraved with the iconic PANDORA logo and set with sparkling stones. Simply add your own selection of charms to give it your unique twist. Very pleased. The order was easy to place and customise and the option to wrap it with another item that was being ordered at the same time was easy to do and was carried out perfectly. Wrapping looks great and the order actually came very fast, about 2 or 3 days after ordering.